Self-care is often misunderstood and dismissed as pampering. But in reality, our physical, mental, emotional, and spiritual health should be a priority rooted in our role as beloved children of God. In It's OK to Start with You, therapist Julia Marie Hogan, LCPC, makes the case for making self-care a priority – beginning with reclaiming your own worth. This FREE download will help you assess your current self-care and give you practical ways to take care of yourself even on your busiest days. 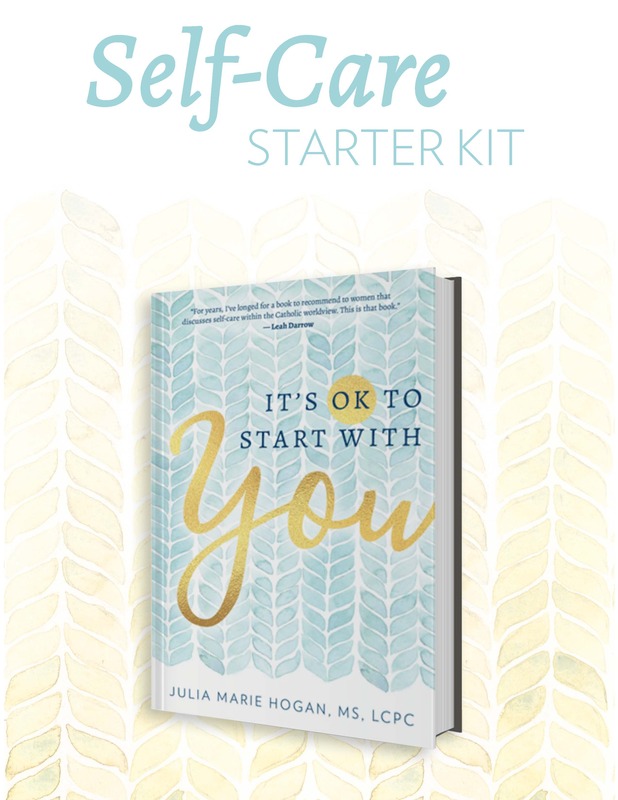 Download It's Ok to Start With You: Self-Care Starter Kit for FREE by signing up to receive emails that feature our new releases, faith topics, free downloads, and so much more!